Pinol Original, a disinfectant produced by AlEn in Mexico, is presented as the way to deal with unwanted life forms in this print advertising campaign developed by Grupo Cinco. 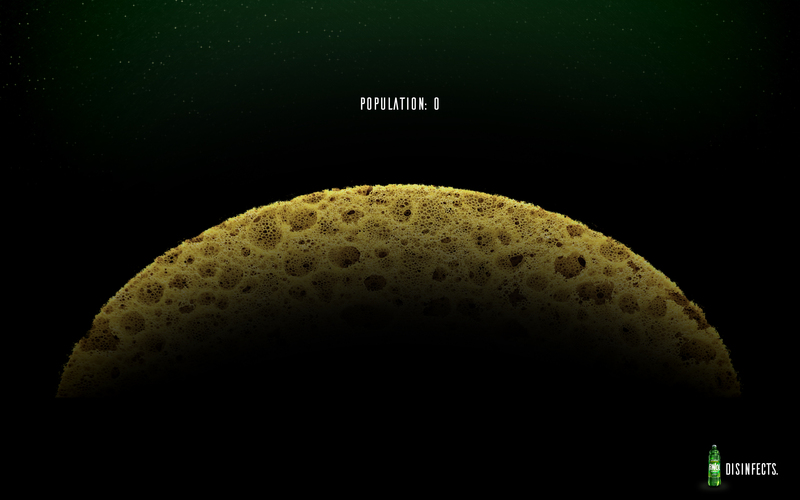 A sponge appears as the surface of a cratered moon, while a blanket is presented as a lush valley. 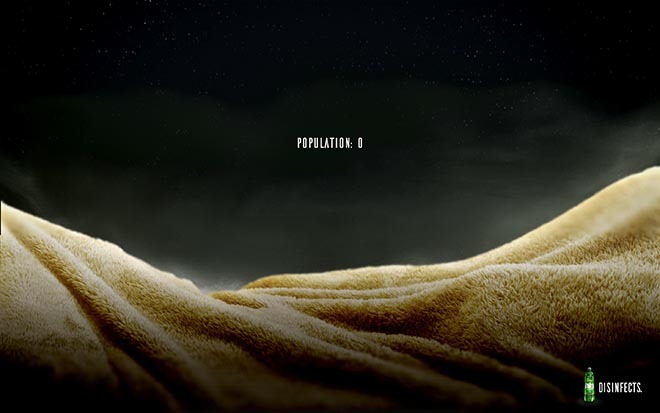 For each, the population is zero. The Pinol Original Population Zero campaign was developed at Grupo Cinco, Monterrey, Mexico, by creative directors Aldo Pérez, Monica Gonzalez, and Alberto Villagran, senior copywriter Jesús Espinosa, art director Thomas Maury, and account director Enriqueta Ita.